Many men are forced with a disorder called dandruff. Dandruff is caused by a fat eating fungus which lives in the scalp of most healthy adults. Here are a few ways to manage your dandruff or prevent it in the first place. Eat Healthy – A healthy diet may actually ward off flakes by consuming enough Omega- 3’s, and B-Vitamins. Don’t Stress – Stress on the body causes the body to go under all sorts of ailments, including dandruff. Limit hair products – The hair products you are using may be the cause of your flaky hair. They may be causing the excessive drying which causes flaking. Wash hair regularly – Dandruff loves oily hair, so fend off dandruff by washing your hair routinely. It may be import to actually wash and repeat in the cycle to wash away the waxy sebum. Switch up your hair wash routine – If dandruff persists despite your regular hair was routine, it may be time to switch to something else. A shampoo with zinc in it will help fight off dandruff. Be sure to follow the instructions carefully and make sure you leave the shampoo in for at least 5 minutes before washing it out. 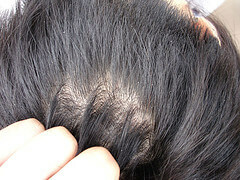 Be patient with the dandruff removal process, as it may take up to a month to level out. If you have more questions concerning dandruff problems, ask us on your next trip to Dave’s Barber in Woodstock, GA. We have specific shampoos we can recommend to help you fight the dandruff.